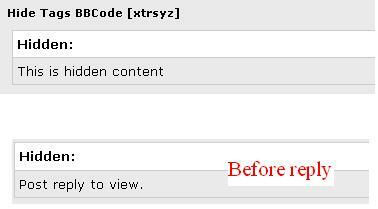 This plugin will add a bb code called [hide] to your forum. (You will have to add this to your themes editor yourself). Content inside of the [hide] tags will require users to post on a thread to see the content inside of it. Hides content specified in the [hide] tag.